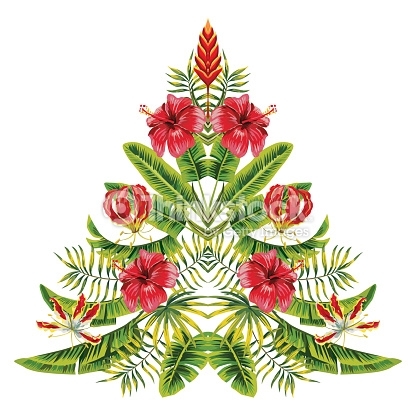 Welcome to our November newsletter. We hope you enjoyed our recent Client Spotlight on "Queen of the Arts" Bernice Steinbaum. Look for a new Client Spotlight every month. If you have any comments or suggestions please let us know. We want to wish you all a warm and wonderful Thanksgiving! This time of year is the perfect time to extend our gratitude to the community organizations we partner with throughout the year to share helpful financial planning options and information. 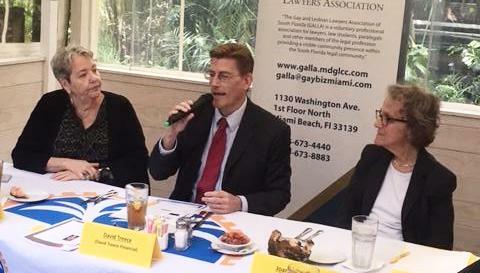 A big thank you to Miami's Gay & Lesbian Lawyers Association ( GALLA) for recently inviting us to participate in a panel with Joan Schaeffer of Lambda Living and Vicki Brail to educate attorneys on issues of isolation amongst aging LGBTQ clients and long-term care solutions. We hope you can attend our annual get together, as we always enjoy when clients and friends can meet and mingle with each other. might enjoy coming ! Click here to RSVP and then remember to add it to your calendar. 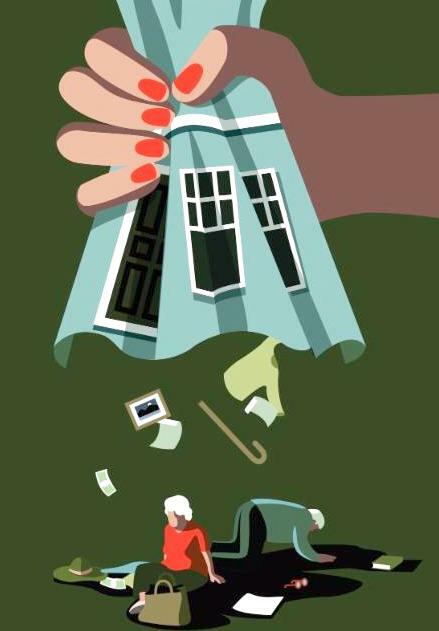 Are unsuspecting seniors around the United States being taken away from their homes without warning, placed in nursing homes, and having their possessions taken away? Sometimes, yes - according to a recent article in The New Yorker. An investigation by journalist Rachel Aviv exposes problems in the Nevada courts that run the system of court-appointed guardians for the elderly. a court order making her the guardian of a couple with no advance notice to them or to their adult daughter. They lost control of their lives - their assets were sold off and they were placed in a nursing home. How pervasive are the problems around the United States? Could this happen to me? What steps can I take to protect myself from this kind of abuse? The abuses of private-guardian systems in some U.S. states have been on the radar screens of policy and legal experts for years, and Aviv’s story, “How the Elderly Lose Their Rights,” is worth reading. Hurricanes Harvey and Irma caused a lot of hardship, but there may be a silver lining for seniors: The storms could end up giving retirees a few extra dollars in their Social Security checks next year. Harvey shut down major refineries in the Gulf Coast to force up the price of gasoline. And auto prices rose as many people sought to replace cars and trucks damaged by flooding in Texas and Florida. By triggering higher inflation in August and September, the storms may have boosted the expected increase in benefits in 2018 by the most in six years. The annual COLA, or cost-of-living adjustment, could be as much as 2% versus the 1.6% to 1.8% increase that seemed likely a few months ago. How much is that? In 2017, the average beneficiary received $1,360 a month. A 2% increase would amount to $26.40 a month. Or $326 for the full year. Might not sound like much, but it’s a lot more than the nation’s 42 million retirees got in 2016 or 2015. 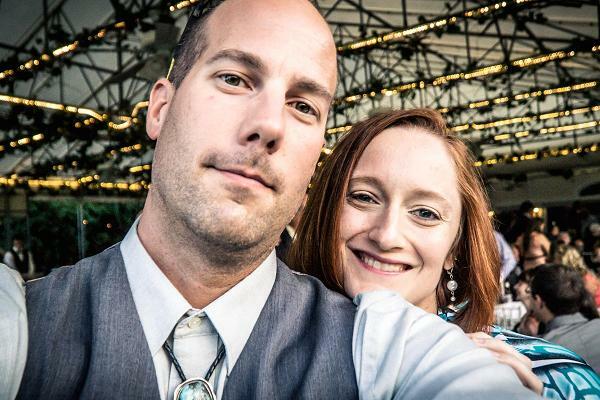 FOCUS ON CNBC MONEY: 36-year-old retiree:"Saving money doesn't get you rich—here's what does"
American workers are split about 50/50 when asked if they are confident they will have enough money to pay for medical expenses in retirement. In a 2016 survey, 45% of all workers reported they were “not too” or “not at all” confident they would have enough money to pay for their medical expenses in retirement . After three years stuck at $18,000, the amount you can contribute to your 401(k) workplace retirement plan inches up for 2018 to $18,500. The Treasury Department has announced inflation-adjusted figures for retirement account savings for 2018, and that’s one of the tweaks that will help savers. 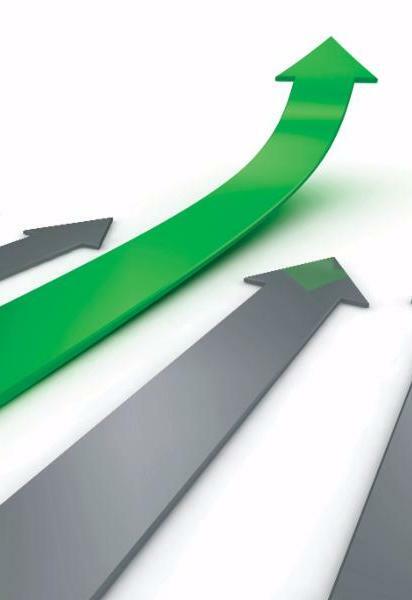 Much stays the same, but in addition to the jump in the 401(k) limit, there are increases to income phase-outs for IRA contributors, and to the adjusted gross income limits for snagging the saver’s credit. 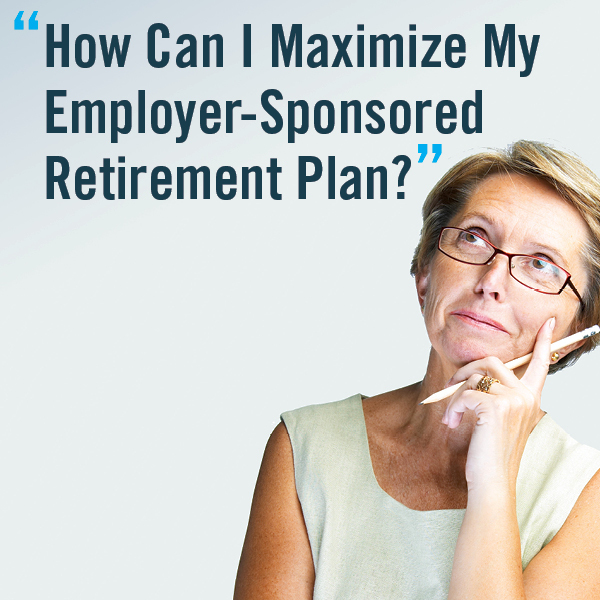 The overall defined contribution plan moves up to $55,000--a boost for self-employed and small business owners as well as workers who have the option of stuffing their retirement nest egg with aftertax dollars. 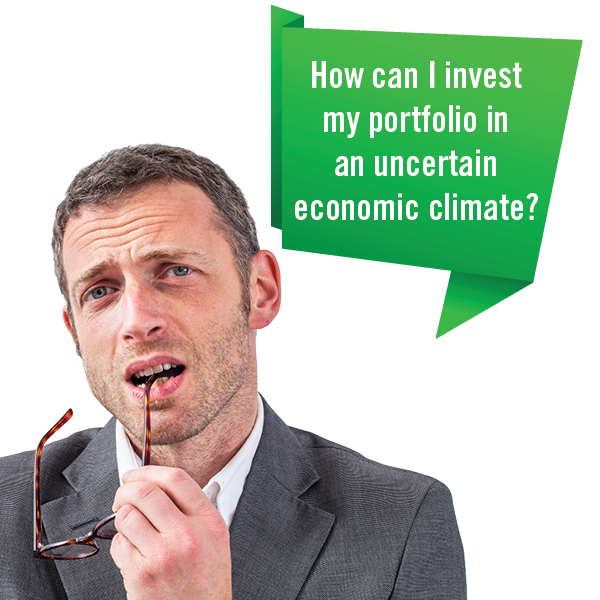 And you can divert $5,000 more (up to $130,000) of your IRA or 401(k) to QLACs— qualified longevity annuity contracts that give you guaranteed retirement income for life. David Traupman begins his day by seeing the following words above his desk: “You begin by always expecting good things to happen.” With such a positive attitude, David was a natural fit to become a consultant to our team as our Marketing Director. With almost 30 years of experience and design and copywriting expertise in branding, direct response, and publishing, David strives to put his best effort into every project and attributes his success to focusing his creativity on every challenge he meets. 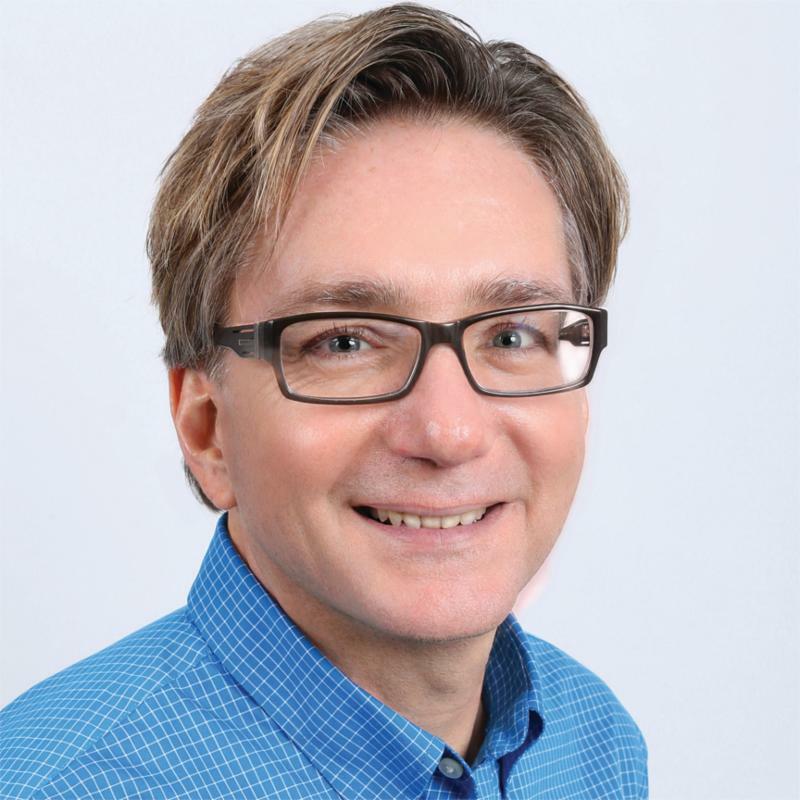 He received a BA in Art History from Temple University and is the president of DTC: David Traupman Creative, Inc. We are delighted to have David and his creative spirit on our team!